The Tri-Counties made a strong appearance on the Inc. 5000 this year, with 30 firms from the region ranking on the magazine’s annual list of fastest-growing private companies in the U.S.
Here’s a closer look at several of the firms that made the Inc. magazine cut this year. 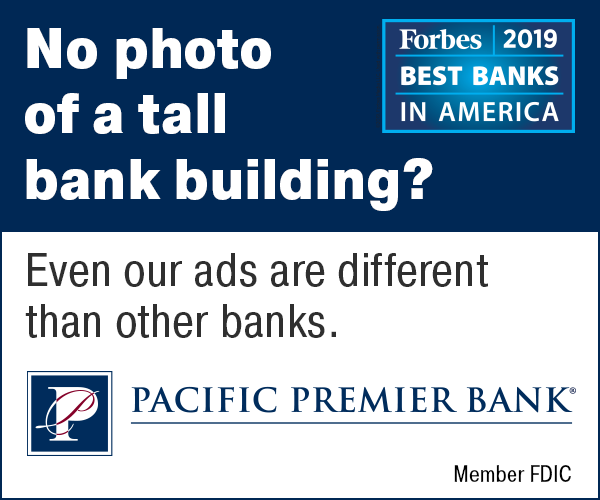 These three firms were also ranked on the Pacific Coast Business Times’ 50 Fastest-Growing Companies list, which published Aug. 24. For a full list of tri-county firms that made the Inc. 5000 this year, scroll down. Pensionmark is a financial retirement planning and executive compensation consulting firm. Its revenue has surged more than 225 percent in the last three years. Hammond said Pensionmark, which was founded in 1988, is now one of the largest retirement advisory firms in the nation. The firm has gone from two to 22 locations nationwide since 2008 and provides retirement planning consulting services to 650 employers, according to its website. Another Santa-Barbara based firm that made the cut both nationally and regionally is Tempest Telecom Solutions. With 4G phone networks on the rise, the telecommunications firm, which provides 4G network rollout equipment and services nationwide for wireless carriers, saw a bump in business, Vice President of Marketing Elda Rudd said. In July 2011, Tempest acquired an antenna systems service provider called Leaf Communications Services, which mostly focused on West Coast-based projects, Rudd said. The firm was able to expand those projects throughout the entire country. With distributed-antenna systems and in-building wireless, Tempest “can help bring strong 4G networks into buildings nationally,” she said. Rudd said her company helps bring the 4G network in, then the distributed antenna system improves the network at indoor and sometimes outdoor venues. With just over 85 percent revenue growth over the last three years, Tempest comes in at No. 14 on the Business Times’ fastest-growing companies list. The company recorded 62 percent revenue growth since 2008 and ranked at No. 3,258 on the Inc. 5000. Rudd said one contributor to the growth involves Internet protocol migration, where older networks convert to newer networks with the help of the company’s expertise in legacy network support and migration. InTouch Health, a medical robotics company based in Goleta, landed at No. 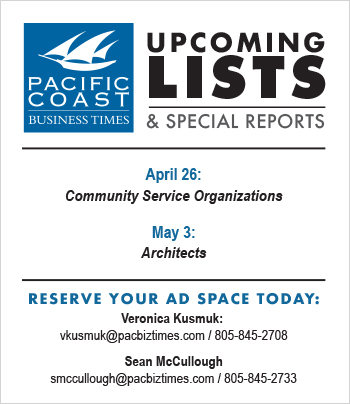 13 on the Business Times’ list, with more than 85 percent over the last three years. Its Inc. 5000 ranking was No. 1231, with 252 percent growth since 2008. InTouch’s customers are hospitals. Its newest medical robot is controlled by an iPad that can remotely assist doctors with data information and examinations. CEO Yulun Wang said InTouch’s revenue growth comes from being in the right place at the right time with the right product. “It’s a great place where the world is at right now, specifically in health care. Our product is well-aligned with that,” he said. 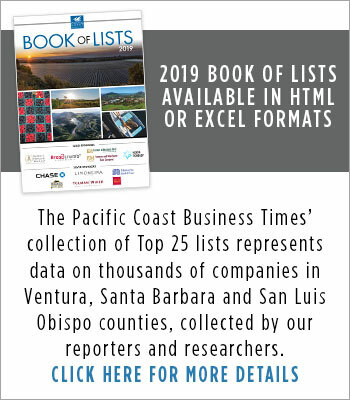 Notes: Bullets indicate companies that are also on the Pacific Coast Business Times’ 50 Fastest-Growing Companies list, which published on Aug. 24. The Business Times’ rankings were based on revenue growth from 2009 to 2011 and included both public and private companies. The Inc. 5000 is based on revenue growth from 2008 to 2011 and includes only private companies.